Breathe new life into your interiors with air-purifying house plants. A desktop, dining table or open shelving unit -like our solid wood or contrasting marble surface furniture - can provide the perfect backdrop for your own mini jungle. Houseplants bring both colour and texture to our interior environments. They can also significantly improve the air quality; a bonus for those living in urban locations. 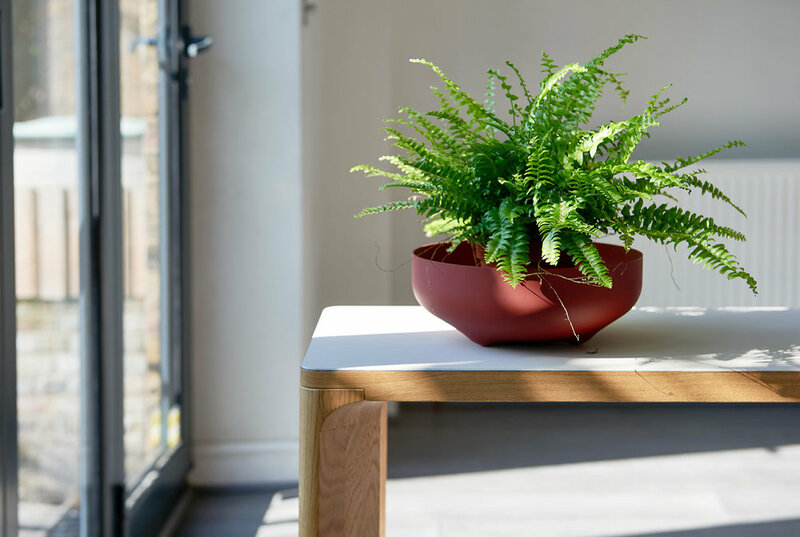 Styling with indoor plants in the workplace or home, can bring physical wellbeing while offering a huge variety of visual elements to your Interior space. Design-led interior planting studio RoCo are ‘dedicated to enhancing urban spaces around London with purifying, impactful greenery.’ They have compiled a list of plants that can improve our air quality and are all readily available and affordable. Pair these suggested plants with our Lastra, Favo and Studiomama ranges; all of which feature the clean lines and pared-down aesthetic suited to styling with plants of all shapes, sizes and species. You can check out RoCo’s book for further inspiration on cultivating indoor greenery.